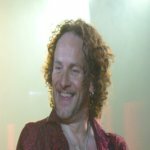 Def Leppard guitarist Vivian Campbell was interviewed by Creative Loafing last week and spoke about the next album and plans for a 2015 world tour. Vivian talked about the Summer Tour 2014 with KISS, his health, the 2015 studio album/world tour and the NWOBHM. Visit the 2014 Tour News section. For more news on future tour plans. "There are plans for a third and final instalment later in the year, probably November or December. We essentially will have it done and have it out by springtime next year. That's our plan. We plan to follow it up with a full year's worth of touring and not just America this time. We'll take it overseas to Asia and Europe. So it'll be good. We've got a bunch of songs on the go. You know, starting them is the easy part. Finishing them is always a lot more difficult [laughs]. So if you're a betting man, you might want to put twenty bucks on whether or not we deliver on time. We'll see how it goes." "I'm a little worse for wear this week. I just did another chemo all day Monday. We were in Southern California, so we scheduled my next and last chemo appointment for this trip. I must admit I'm feeling worse for wear after that, but every day is a little better. That was the worst of it. The last couple of shows have been pretty tough for me, but we just arrived in Austin, Texas this afternoon and tomorrow is a day off, so I'm going to be sleeping a lot."